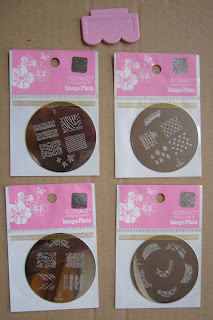 Yesterday I received a parcel from OCNailArt with these four plates (M79, M80, M73 and M57) and a plastic scraper (I don't like scratched plates but haven't enough time to build one by myself, so I bought it). Kathleen shipped them immediately after my order, and when I say "immediatly" I mean the same day (BTW I had a considerable coupon I could spend there thanks to KONADomania giveaway so "grazie" to both Anita and Kathleen). I am soo happy, can't wait to try them!! 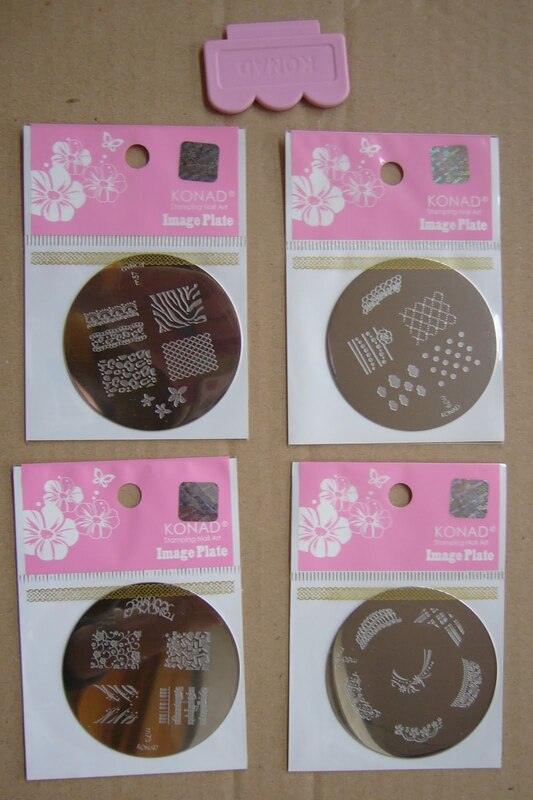 Ieri ho ricevuto questo da OCNailArt: quattro plates Konad (M79, M80, M73 e M57) che non vedo l'ora di provare + lo scraper di plastica (mi scoccia graffiare le plates ma con le carte plasticate leggere non mi trovo e non ho il tempo di farne uno levigando una grossa). Ho usato il coupon vinto al giveaway di KONADomania e devo dire che Kathleen è stata super efficiente: ha spedito praticamente lo stesso giorno in cui ho inviato l'ordine!! wow bellissimi i plates ke hai scelto! non vedo l'ora di vedere le foto delle konadicures!! Thank you Anita I wish I had more time to play with my plates ;-), especially the new ones!